The post has come up with a recent discussion of nearly fifteen email conversations of a person who wanted art for his wedding anniversary.It is easy for any artist to think that this is a great offer and innocently artists send their original paintings, just to know that they are not paid later on! With most sales online and more than fifteen years with online art displaying , I have learned quite a lot of internet art selling and buying of paintings. 1) too good to be true offers never exist, if some buyer is offering you large amounts for many paintings , do cross check details and always be extra careful with such deals. 2) In conversations find out the true identity of the buyer, google search helps if the person is well known and has an online identity , which most have today. 3) Check the ip address, hoax emails and bogus art scams are always and will be on the high with the amounts of money involved with art. 4) Never , never ever send your art without receiving full payment of the artworks. 5) If you are required to pay any amount before receiving the payment for your paintings, don't do this deal. sharing the original scammers case,recently happened with me for online sales of art. The scammers did just this, the person involved shared his reputed qualification, marine Engineer, and excitement for surprising his wife with original art for wedding anniversary.Mentioned he was on a ship, travelling and his agent will clear all the cash dealings. Then came another email that he could not transfer amount to his agent due to some reason and that he would pay the added amount of his agent along with original art price and shipping in your name. And, just to my surprise even an email from Pay pal, came with details of the amount paid to your account , just a small step remaining , you pay this fees, $350 and your total amount will be transferred to your account. Well here comes experience. Pay pal would never send such an email, payments are done with a click and only on confirmation of payment is the deal done. ,check the ip address, that comes in the link above, it is some thing else, not Pay Pal. Secondly Genuine art buyers, People buying art complete the payment and then share their address for the art to be shipped,and courier agents require phone numbers also. Finally never pay from your pocket for sending your art, take the packing/ shipping charges along with the price of your original art. And if you are asked to pay,w ell think about whether this deal is worth. So while I stopped the emails, there were no more ...it was a serious art scam...I pity those artists who on the moment of desperation for selling art at a good price may have been lured to shell out money to these art scammers! So most important lesson, I always tell new artists, don't make art for money! if it comes well and good, if not find another way to feed your soul for making more art! What are the precautions one must take for any purchase of art online? 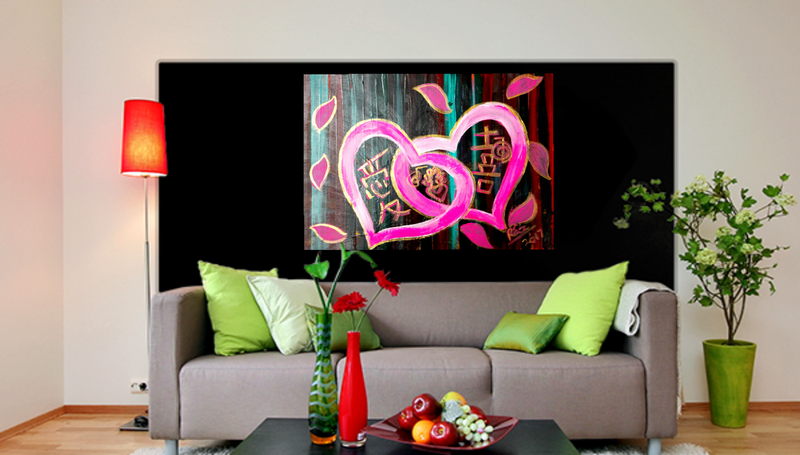 With so much art online, websites, shopping sites and online art galleries springing up, we have loads of art online. The bets advantage is you get a lot of choice, and in your budget range, you can add up some original hand painted art to your decor. The artists you love and are following keep posting new latest paintings and it becomes so easy to buy art online with no hassles, and the art delivered at your doorstep at your time! 1) Firstly secure your account numbers and bank balance details. Any website or dealer inquiring about your bank details/passwords may not be the respective person and may hack your bank account after getting your bank details. This is one of the disadvantages of online deals that you do not see the seller. In the excitement of purchasing art you may allow such person to access to your email id and even personal details. Remember the seller has no right to get your personal details and always only share information which is relevant to that particular deal, that is what the professional courier shipping agents require. 2) always be careful, secure your bank details and avoid discussing details of financial status and bank assets online for any purchase. 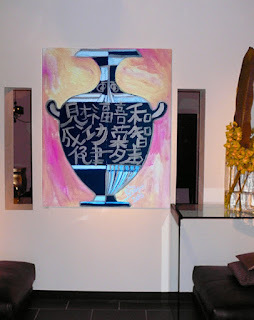 3) In case of any thing fishy, if something seems not so right, you can always stop and inquire about the artworks of the same artist from another source or directly from the artist..
4) The best way , I follow, it is best to make another account for such financial dealings, buying online. Here you can deposit the amount required for the sale after the deal and the respective seller can access it. 5) Another most important point to consider is avoid using credit and other cards for unknown sources, questionable sites that offer heavy discounts on original costly paintings, on the internet. Hackers may access your account and balance details and this may not be the art dealer but some other person who is online and has access to the website. 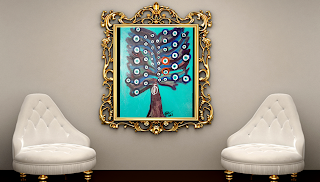 6) If you are not savy with online buying of paintings, it would be better to purchase art from reputed online galleries and reputed art dealers who are established in this field. They are known in the art field and have set up an website only for the convenience of the buyers. Also they have a set of rules and regulations for online purchase along with the warranty and authentication certificate. 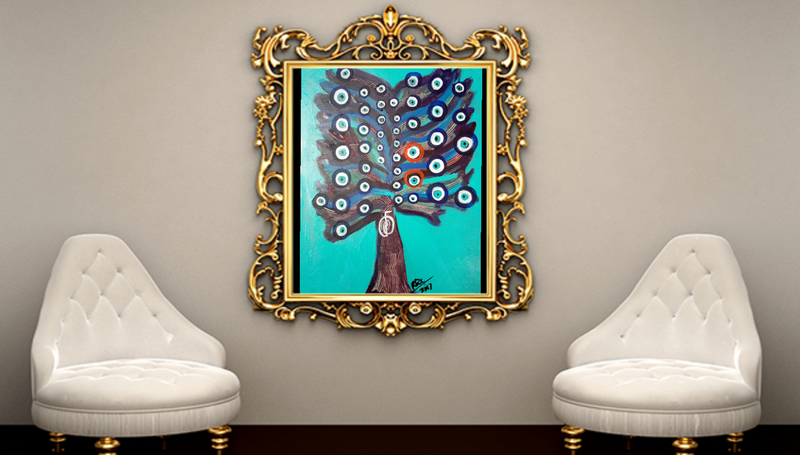 The experience is secure for both the artist as well as the art buyers. My recent sale through Saatchiart online gallery successfully completed without any hassles as all the shipping was taken care off by the gallery, with a pick up of art from your home. 7) Direct money transfer is an easy way to transfer money in account without much effort and safe too. With years of selling art online, I love my art buyers, they have been so humble and respectful, and never have such hassles of payments come up. It is just simple emails about sometimes rechecking the colors of the artworks or closer look of large canvasses, an appreciation email after the payment is done clicking from my website button, "buy now" . Yet life is exciting - once when I asked a lady buyer for her telephone number along with address, for shipping purposes , of course, the courier people require contact number to deliver the shipment,as they call up the receiver and then deliver the parcel, the lady asked me immediately with an email, my telephone number....LOL...I said I am online,check all my details on my website!!! Genuine artists who are selling art online need to have their details online if they want to really sell art online! So while art is online, I still long for the physical touch hitting the senses with art in an art gallery, but , yes, art is online and art sales are happening/ shooting up online! All the Best from Rizwana!